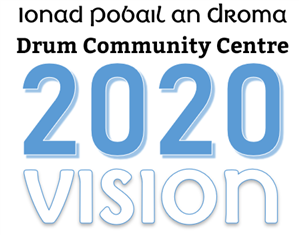 Drum/Clonown Community Games recently held their AGM in Drum Parish Hall. Below is the Secretary’s Report. Chairperson, committee members, ladies and gentlemen. It was again an excellent year for Community Games in 2009. We successfully participated in community games activities at local, county, provincial and national level. The committee held seven meetings which were well attended and a lot of work was carried out by text and phone. A special word of thanks must go to the organisers, trainers/coaches and supervisors who gave so much of their time preparing the competitors for the team and individual events at County, Provincial and National levels. Also Robbie Ryan who came on the day to judge the art competition and Breege O’Connor who judged the handwriting competition. Thanks to Athlone Gymnastics Club for organising training and making their facilities available to us. Thanks to Clann na nGael for the use of the pitch, their trainers/coaches who looked after the teams and provided buses for travelling to matches. To Bealnamulla Soccer Club who also provided coaching and buses for travel to matches. Without their help this level of participation would not be possible. A word of thanks to Fr. Ray for allowing us to use this hall throughout the year for our meetings and to the schools for their co-operation whenever necessary. Athletics: 7 x gold, 4 x silver, 7 x bronze. Swimming: 11 x gold, 4 x silver. Art: 2 x gold, 2 x silver. Soccer: u-12 boys – 1 x gold; u-15 girls. Gaelic: u-12 girls – 1 x gold; u-10 boys – 1 x gold. Table Tennis: u-16 – 1 x gold; u-13 – 1 x silver. Individual: 1 x gold, 1 x 4th place. Athletics: 1 x 4th place. All our contestants did us proud and gave of their best. Congratulations to all of them. Finally I would like to thank the committee for their commitment to Community Games, their hard work throughout the year …… without them none if this would be possible.